! This is NOT a method of direct communication with HUMBLE FLOWERS & GIFTS for purposes of ordering or rectifying problems. The dish garden is lovely. I prefer living plants to cut flowers because they are alive. I’m not bashing cut flower arrangements which are beautiful. Live plants are more vibrant. Very Professional and beautiful flowers. The arrangement was exactly as described and beautiful. It truly lifted our loved ones spirits. I was glad they sent a picture so we could see how wonderful they were. Sometimes ordering online can be 'under'whelming but having it as described makes me happy to have found you for my needs in Jetmore! Will absolutely use again and hope others do as well. The arrangement was exactly what I ordered online. Later, when visiting the shop for an additional order, the staff was extremely helpful with both a floral arrangement and questions about Dodge City. Ordered flowers for a funeral. The arrangement was delivered on time as requested. A family member sent a picture of the arrangement and it was beautiful. Very pleased with the service and the flowers. Appreciated the prompt service and they even called me to confirm the message. Very pleased. The flowers were beautiful!!! I wanted to send flowers for my uncle’s funeral and there isn’t a shop in that town. Cathy arranged it with the funeral home. I couldn’t be happier!! Thanks so much!! Beautiful birthday bouquet ordered and delivered same day! Mom said they were the most beautiful flowers she’s ever received!! She also said to not tell Dad because he does good picking flowers too! My roses were beautiful! I have had so many compliments on how large and how fragrant they are! Thank you! My daughter sent a picture and she and I were both very happy with the plant. The flowers i ordered were not available, but they prepared a gorgeous boquet for my mother that lasted until we came to pick her up for a visit a couple of weeks later! I will definitely use this company in the future. I was more than satisfied with their services. The roses I received were beautiful. Thank you! The recipient loved the flowers. I am not in town so I don't get to see them, but she always says they are pretty. Had another great experience from ordering flowers with Humble Flowers. The process is easy and the recipient of the flowers absolutely loved them. Thank You ! My experience with your website ordering process was easy and quick. Thank you for making it pleasant. They did a wonderful job with the arrangement I picked and delivery. Thank you. Within an half hour of me ordering online, recived a call and explained they were out. Really sweet lady arranged another item since i was driving and delivered it. I used your service twice in the last few months to send flowers to my mother and was very happy with the service. The bouquets arrived on time and were beautiful. I was very pleased with this florist. I live in Kentucky and I had them deliver flowers to my mother in Dodge City, KS. The delivery was on time and all reports are that they were beautiful. I was very pleased with everything. My Sister loved the plant and all went very good. Thanks. The flowers I ordered were even more beautiful in person than they were in the picture. These flowers still look beautiful! I have never received a more lovely bouquet!!! The flowers were very fresh and lasted over 2 weeks. The flowers I received were beautiful! The order was very easy to make. I made a mistake on the address and contacted them and it was corrected before the order went out. My wife loved the floral arrangements and the candy. Flowers for a funeral. They were very nice and simple to order. As always the flowers were beautiful. Only place in Dodge City I will order flowers from. Great customer service as well. Flowers were beautiful and colorful. Nice arrangement. My sister was overjoyed and she received so many compliments on the vase and arrangement quality. We were both very pleased. Thanks for the great service. I was very satisfied with your services. Thank you. I will using your shop in the future and would recommended it to friends. Thank you so much!! The plant I ordered for my friends and colleagues who opened a new business was stunninging beautiful and now graces their lobby. Very happy that I could order from a local florist via online as I do not live in Dodge City. Thank you again!! The flowers were beautiful! I called the store the very next day after the delivery because I was so pleased. Thank you so much. 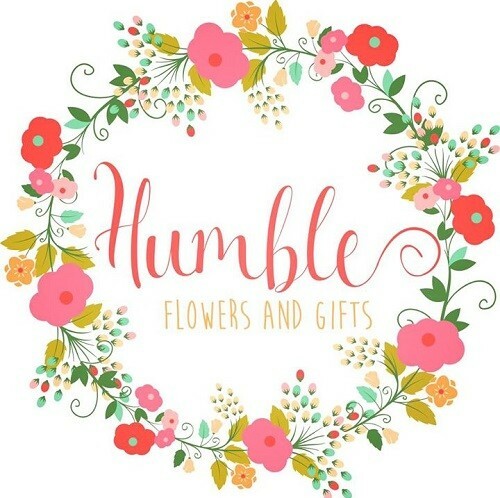 The ordering process was really convenient, as I live out of state and was sending the flowers to a local funeral home - which I was able to select their info on Humble's website and it pre-filled out the order form. As I was not attending the funeral, it was a concern that the order would not be done correctly or on time, but I heard from one of the family members that the flowers arrived and were absolutely beautiful! Thank you so much!! Love your store. I can always count on you to get my mother's flowers to her. Thanks so much! My flowers were beautiful,a unique arrangement. Loved them! Thank you so much. the floral arrangement is always fresh and beautiful. Evelyn said the poinsettia was big and beautiful. Thanks Sharon!! I've used Humbles for 20 years. They consistently exceed expectations. Sharon and her staff are models for customer service! A pleasure to work with. I always enjoy your flower arrangements & recommend you to everyone. Thank you for many yrs. of service. Ordering was easy, and flowers were beautiful ? Flowers were beautiful and arrived on time! I have my husband trained to order flowers from my favorite flower shop...Humble Flowers. You guys do an awesome job. Your website is easy to use and the flowers were terrific! The flowers were fresh and looked beautiful. They have stayed very nice.